Yes, it seems pretty late to be posting results from 2018, but what can I say — time has just flown by. Between all the other posts I’ve wanted to write, launching a new interview series, and managing Rockstar Finance, not to mention completing our taxes and working to update our estate plans, things have been busy! But it’s better later than never, so let’s get into what we earned last year with credit card rewards. As you may know, I’ve given a short summary of credit card rewards each year for some time now. I do this because using your cards correctly can add up to a nice bit of extra change. As reported with last year’s update, we have earned $17,525 earned since 2006 (not counting what we’ve earned in 2018). No, not a fortune, but it’s not chump change either. And why not make some extra money by doing something you’d already do (buy stuff)? I can’t write a post about credit card rewards without giving a few warnings. Using credit cards is an advanced financial technique IMO. It’s not advanced because it’s difficult, but because it requires discipline, control, and organization. If you have these traits, you may be a candidate for maximizing credit card rewards. You should never carry a balance on a card. If you do, don’t use them. At all. You should never buy something just for the points. There are times when you need a purchase for a larger (and better financial) reason, but buying simply to rack up rewards is a no-no. If having credit cards makes you buy things you wouldn’t otherwise buy, don’t use them. There’s research that suggest cards do this to many (not all, of course) people, so this warning is real. With those said, let’s move on. Now and then I get asked why I use cash back cards instead of points/rewards cards. With cash, you can spend the rewards on anything (like food, clothing, shelter, etc.) It’s cash after all. But with points, you are limited by what the points can be redeemed on. The value is about the same. Some will tout that points are worth more, but they usually add in bonus amounts to make that claim. There’s no problem redeeming cash. It takes time and effort to get the most out of any points accumulated. Even if points were a bit better (which I’m not sure they are), they have a high hassle factor. I’ve tried them and the process of using/managing them is much more involved than dealing with cash back cards. I prefer earning the easy way. That said, I don’t object to someone using points-based cards. I’ll even recommend some from time to time (mostly because they have great bonus offers). But for those who don’t want to churn, cash is the way to go IMO. If you disagree, here’s a listing of the top travel rewards cards for your review. Now let’s get into what we do as a family. I have had all these cards for at least a few years and have been an especially long-term user of the Fidelity and Freedom cards. That’s a total of $2,256.72! This brings our total since 2006 to $19,782! FYI, the “other” earnings were from two cards I canceled that straggled in. But it’s also true that in most cases (not all, more on that later) our minimum cash back was 2%. In many cases we earned significantly more. We were actually down in earnings versus 2017, mostly because we had two large bonuses in 2017 that helped out quite a bit. This is our go-to card for “all other” spending — any purchases that do not get higher rewards with another card. The biggest “earner” with this card was my daughter’s college tuition. They allow you to pay by credit card with no added fees, so why not get 2% cash back while I’m sending them thousands? I also used this card for some business expenses, which can add up. Of all the transactions we complete in a year, we probably use this card for 75% of them. It’s 2% back right away (none of this 1% now and 1% when you pay stuff) and it’s easy money in our pockets. You do have to set up a Fidelity account for the cash to go into, but that takes only a few minutes. It’s very easy to redeem the cash and have it sent to our checking account. Of any card I’ve had in the past 20 years, this is by far my favorite. Simple and easy to use, plus pays out a great cash percentage. BTW, in case you are wondering from the pic above, you get 2 “points” for every dollar spent which can then be converted to cash to equal 2% cash back. If you want to get your own version of this card, they are currently offering a $100 bonus on it, so now’s a great time to pounce. That said, the Chase Freedom Unlimited card just launched and has 3% cash back (no bonus) on all purchases in the first year up to $20,000 spent. I’m planning on getting one and making it our go-to card for the next year. You can see details on it here. We haven’t had this card that long, but it’s suddenly become our #2 earner. Unless the Chase Freedom card has a better deal, was use this card for gas, travel, and eating out. It’s a great option for these categories and using it earned us a good amount (especially on all the travel we did last year). That said, let me explain the photos above a bit. If you do the math, you’ll see that we averaged 2.3% cash back on this card. But how could this be if we only used it for purchases that were 4% or 3% cash back? The short answer is that we used it (inadvertently) on some purchases that earned 1%. In particular, we rented our place in Grand Cayman on Homeaway. I thought this would qualify as “travel” and earn us 3% cash back. I was wrong. It obviously counts in some other category so for that purchase we got 1% cash back. This is why it’s always good to do a test charge (make a small purchase, let it run through the system, and see what rewards you get) to verify the category if you can. We couldn’t in this case, but now that we know, we’ll use a different card in the future. That said, the Costco card is awesome for gas and travel (hotels, airfare, etc.) and obviously we use it a lot. Plus there are no international transaction fees, so that’s nice. I don’t have any summary photos for the Chase cards. Maybe because I bank with Chase and just sweep rewards into my checking account — so they assume I know how much I got! Ha! We use this card to pay Verizon and Comcast. That’s what’s so great about 5% cash back — it can really add up fast. And it helps to make those painful cable and phone bills not as painful. If you want to get your own Chase Ink card, you can here. FYI, it’s a business card, so you need a business to qualify. I actually did a pretty good job of controlling my Amazon spending this year. That said, the savings is 5%, so even with fewer purchases, the cash adds up. This is the oldest card I own. It’s probably worth 30 points alone on my credit score (which was 830 last I checked)! Ha! We use it now and then, especially when groceries have 5% cash back. During the quarter it’s 5% cash back on groceries, we buy gift cards at our local store. We buy when the store promotes 4x gas points on gift card purchases (which is often). We only buy cards we will use ourselves or give as gifts. $1,500 spent on gift cards (the most you can get 5% cash back on), which earns us $75. This generates 6,000 gas points, which saves us $1 a gallon (the max) on six fill ups. At 15 gallons each at least, that’s $90+ saved on gas. When we spend the gift cards, we usually do it at a place that we go to often which we 1) have a coupon for, 2) are part of a loyalty program, or 3) both. The card is limited to $75 a quarter — at that point the 5% tops out. That said, I still see this card being named among the best cash back cards out there by this group and that group. And it is hard to argue with 5% cash back. If you want to get your own Chase Freedom card, you can do so here. Those are the best cards for us and may be great cards for you as well. But your spending might be totally different than ours, so perhaps there are better options for you as well. If you’re interested in searching to find the best cash back credit cards for you, check out this page. So that’s how we did with credit card rewards in 2018. How did you do? TL;DR: Does anyone know of any German / EU credit cards that offer good rewards programs? ESI Scale(41) here. Update: I’ve been living in Germany nor almost 4 months now – time is flying! Unfortunately, this topic hit a nerve with me as it’s something I have become quite very frustrated by after my move! First, many places simply don’t accept credit cards here in Germany. (Unless it’s a small cafe, most at least accept debit cards now at least) Germany is definitely a “cash country”. I don’t know if Germans prefer the anonymity of cash or what, but I digress. I have considered using my US based Marriott Credit Card (no foreign transaction fees) but I am worried that any points befits I get would be negated by bad exchange rates. I don’t think I can pay off the card in Euros from my German bank account but I’ll have to look into that. Not directly related to reward cards…. Given this “cash-based society” and the lack of adequate /simple budgeting tools that connect to German banks, I’ve really been struggling to understand where I’m spending my money. I’ve recently resorted to a cash envelop system for my most frequent cash purchases (restaurants/fast food, bars & alcohol, and groceries). Does anyone have any other suggestions or recommendations???? The hassle is just the lack of ability to use a card at all! So its good to know I’m getting the cost advantages, but its inconveient to have to carry cash. I’ve totally lost sight of my spending without mint.com! 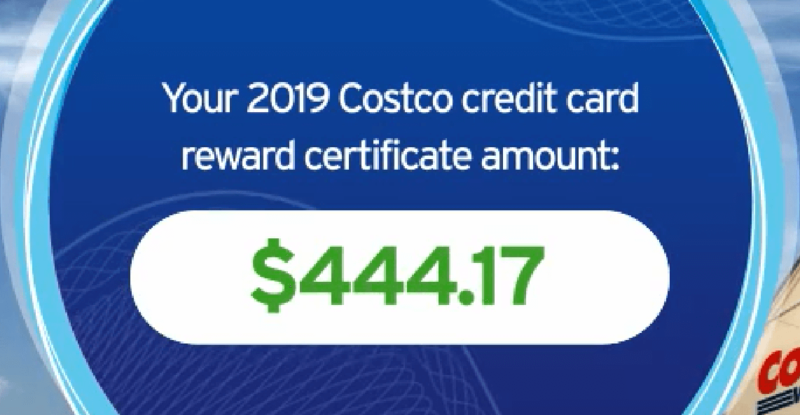 American Express Blue Cash – I use this mostly for groceries as you get 6% back on up to 6K (we like to eat so cap out every year) and that is $3,600 and 3% on gas but mostly use the Costco card a majority of the time for that and all the $ comes in a statement credit. Great topic and great way for people to get more value out of their cards if they follow your warnings. Wow – great rundown. While I can see some incremental advantage to using the suite of cards you selected, I like to keep things simple – so we only use one card. We started with the Barclays Travel Card. $89/year gets you pretty good points for each purchase which can then be used as a “travel eraser” on your statement allowing you to select which travel charges you want to apply the points to. Very clean and easy. We liked that until we found out about the Alliant VISA Signature card offer. $59 annual fee (I think it was free for first year), and 3% cash back on every purchase for the first year; then 2.5% cash back after that. I spreadsheeted the Barclays Card rewards that we accrued and calculated a lower return than that, so made the switch. They do screen applicants and are looking for people who charge $50k or more per year. 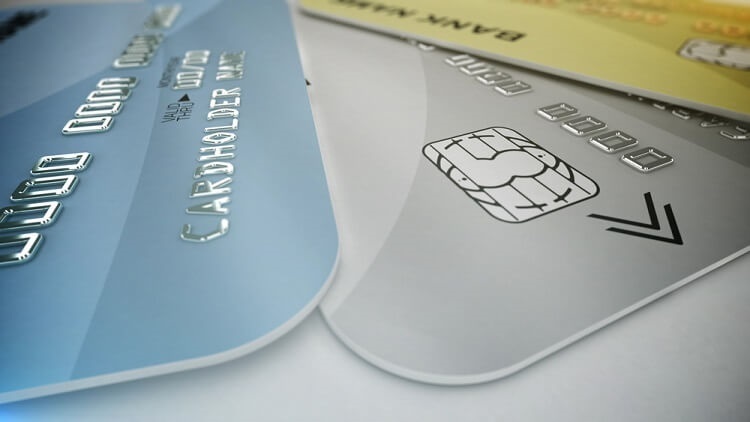 Both are chip cards and include no transaction fees on foreign charges. Simple is good. I like that. Excellent pro tips. In my line of work, I help people achieve perfect credit scores in less than 30 days. They will definitely appreciate this info. Credit card rewards are a no brainier yet not very many people make the best out of them. After reading one of your other posts, I applied and received the Fidelity Visa with the 2% that goes right into my retirement account! I love that idea! But I guess I missed out on the $100! lol I try to remember which card is giving the best points, but I usually fall back on the Fidelity. Our primary cards are Fidelity and Costco Visa too. Fidelity for everything except gas, restaurants and travel, which go on the Costco Visa. We don’t spend enough on utilities (both of us get cellphone service from work) to make getting Chase or Amazon worth the hassle. I just checked – I’ve earned just shy of four grand since I started using cash back cards in 2016. I’m like you that I much prefer cash than travel points. ESI – Thanks for bringing attention to the value of Rewards on Credit Cards. It made me think about what the value to me is as I never looked at it in totality for a year. For me it is nearly automatic and just requires a little disciple. Pay off the balance each month. And use correct cards to get the maximum benefit for the spend category as well as use cards that have no foreign transactions fees. Everything that can go on a card get charged to a card. Delta Amex Card (Cost $195/yr)– I use this card to get airline miles and help to maintain my Platinum status (I’m lifetime Gold status with 2.2million miles but Platinum offers even better rewards). On Delta I collected 91328 miles on my card (this is in addition to the actual miles/$ flown and credited. At $0.013/mile value, this would be $1187. The card made it possible to maintain Platinum which also provides a free companion ticket and I just booked a free flight for my wife on a trip from Atlanta to Jackson Hole for a fall trip. Had to pay the taxes but got $499 off her ticket. Platinum status also offers free upgrades for my self and my wife, and we enjoyed free upgrades from Main to Comfort+ immediately on booking so can get seat choice which I prefer to be bulkhead (almost as much room as First Class and free snacks and alcohol beverages). 2018 had trips to Hawaii, China, 2 to Europe and 3 domestic trips, thus the upgrades were easily valued at over $2000 for my wife and I. Delta value: $3686. Costco Visa Card – (Cost $120/yr) – My second go to card, especially for Costco purchases, gas and travel. I received a $1950 rebate for 2018 and just cashed a rebate for Executive card for $50 today. Costco value: $2000. Fidelity Visa Card (Free card, 2% cash back on everything). 2018 Rebate was $455. 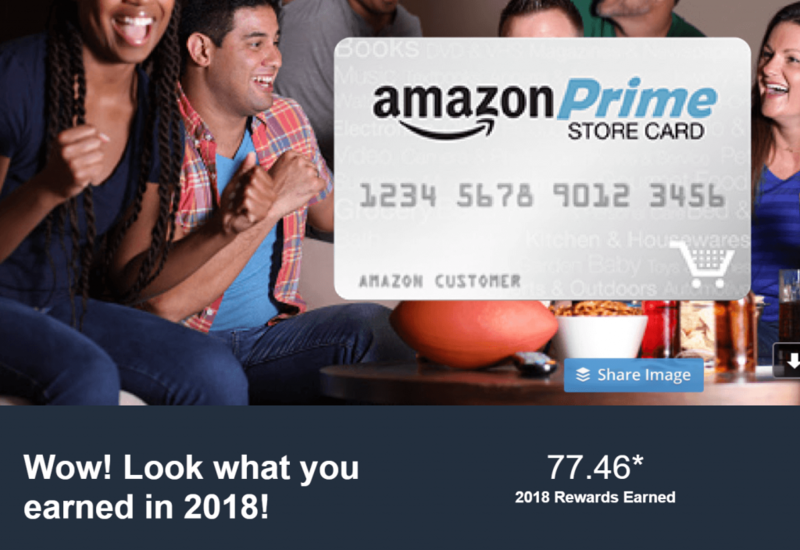 Amazon Prime Visa Card (free, 5% cash back on Amazon purchase). 2018 Rebate was $36. American Airlines Platinum Card (free first year, then $99 annually). This was a card I got for a onus on a new card. I had frequent flyers miles to use up, and they had a nice promotion. Spend $3000 and get 50000 miles. I spent $3037 and received 53037 miles which I value at $0.013/mile, thus worth $689 mile. I also used the miles to get 2 domestic trips for my wife and I and got free checked bags due to the card, which saved $200 in fees. Since I have used all my ff miles on American I will cancel the card before the annual renew and not pay the second-year fee after the first year is free. 2018 Value was $889. Summary: I was surprised at the accumulated value for 2018 and it was easy to do. Total value to me was $7066. I also love the cash back from credit cards companies. I have used the Chase Freedom for the last 5 years (or more) and decided to shop around last year to see what else I could find. I was surprised to find a better deal: The Alliant Credit Union Visa Signature Card. It gives you 3% back in ALL your expenses for the first year and then it switches to 2.5% cash back. Not bad at all if you follow this article warnings! Now I only use my Chase Freedom for their 5% category only, Amazon Store Card (of course), and the Alliant Visa Signature. Since I do not eat out frequently or travel, these three cards are enough for my needs. There is – $59. About as cheap as they come for these types of cards. If you spend more than $11,800 in a year (as you did), the 2.5 % cash back – annual fee ($295 – $59 = $236) will equal the same cash back obtained with a 2% cash back credit card ($11,800 * 0.02 = $236). Every dollar spent above $11,800 means more cash back. Ok! So I received an email today from Alliant saying that they will increase their annual fee to $99. The new number to break even compared to a 2% cash back credit card is a yearly spending of $19,800. That you will achieve if you spend at least $1650 monthly with your credit card. I think it is still worth considering for people that use credit cards wisely! Yeah, I got that email, too. I reran my spreadsheet and the numbers still work out. The key is using an annual spend of $50k per year on the card. When I applied that appeared to be a prerequisite to get approved for this card. So at $4k per month, you end up paying for the annual fee in the first month anyways. I’m a bit miffed because I’m in my first year and my sign up was partly based on the $59/yr fee – then they go and change it on me before it even kicks in. I understand the ease and simplicity of cash back, but there are times when points can be a lifesaver For example, we needed hotel rooms for 3 nights in San Francisco recently during a major conference. Cash rates were $800-$1,000/night, but we were able to book with Marriott points (fair value of 50,000 Marriott points is about $375/night).